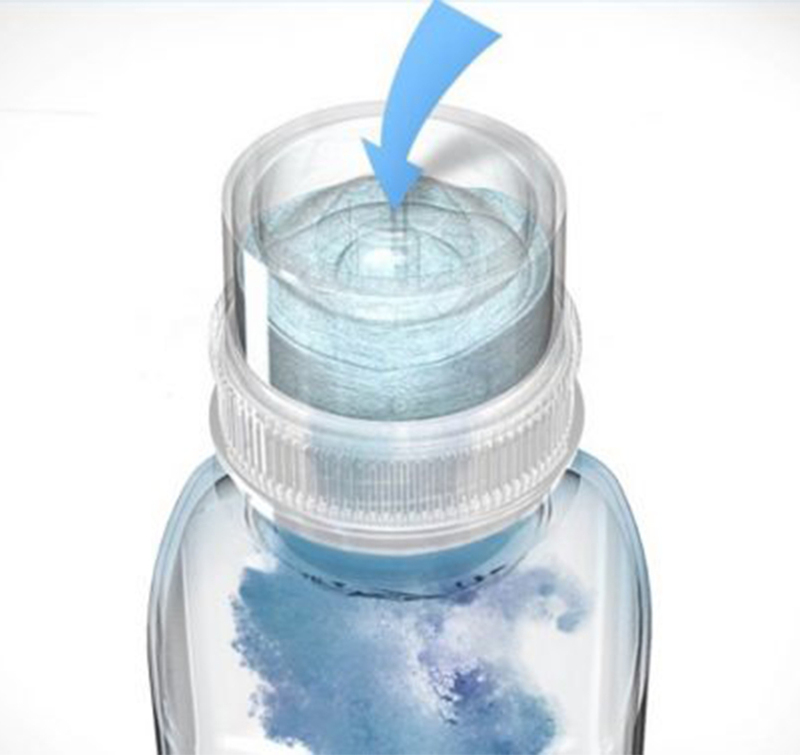 12 Nov 2018 --- Creators of the Karma Push Cap Technology, Karma, have formed a collaboration with Aptar Food + Beverage, a global specialist in dispensing, sealing and active packaging solutions, to deliver instant-mix technology to a range of market segments focused on the rising trend of personalized, fortified nutrition. The collaboration believes that the cap has the potential to extend beyond beverage into other industries, including medical and pharmaceutical. ”Millennials and digitalization are driving the personalization trend: younger generations are keen on understanding their individuality including their microbiota and DNA material, and then match it to their daily habits to improve health and lifestyle,” Anna Frolova-Levi, Director, Global Business Development for Aptar, explains to PackagingInsights. “Rapidly evolving digital and high-tech tools are allowing for mass production of such information. With the knowledge of what is contributing to an individual’s healthy living increasing, so is demand for personalization of foods, beverages and other consumable products. Hence fortified concentrates that can be added into any product will also continue growing in importance,” she adds. Made of recyclable and US FDA compliant materials, the Karma Push Cap is a delivery system that facilitates portion control and the ability to separate ingredients that are otherwise not shelf-stable. The closure solution includes a delivery system that can infuse either powdered or liquid ingredients into almost any substance. The Karma Push Cap was first introduced in 2011 as the breakthrough component of Karma Wellness Water, a natural and nutrient-enhanced beverage seeking to promote wellness by delivering fresh, undiluted vitamins at the time of consumption. The impact of the Karma Push Cap has the potential to reach beyond mainstream beverages and cross into diverse industries such as dietary supplement, pharmaceutical, medical, agricultural and chemical. The collaboration will be looking to benefit from increasing scientific evidence of the benefits of nutritional supplementation and the phenomenon of pill fatigue which has led to rising consumer and industry interest in the incorporation of nutrient premixes into food and beverages to support a healthy diet. “So far we have identified greater stability with vitamins, antioxidants, probiotics, and CBDs, but the Karma Push Cap portion or dosage control benefits also can also appeal to medical, pharmaceutical and chemical applications,” Rapp concludes. Another company reacting to increased demand for personalized ingredient control through innovative cap solutions is Kolibri Drinks. It recently collaborated with glass packaging specialists Beatson Clark to design and launch a customizable bottle which enables consumers to control the amount of sugar in their drink.